It’s a story of Nina (waitress) and Eddy (the boss), they both share a same experience of the after life and the struggle having to adapt to life after that experience. Everything happens in one day in the Tavern. It’s a psychological drama and action as well. You can read some reviews on Amazon. Burbuqe Raufi is an Award winning Albanian author and an avid reader. She finished her Master degree in 2013 and decided to follow her passion for writing. Her first published book, Dr. Mind had gathered good and impeccable reviews from Amazon readers. It is a self-help book based on her real life experiences which help readers cope with their own diseases and understand the value of life. Dr. Mind was published into Albanian language “Fuqia e mendimeve” and has become a best seller and an Award Winner of the Best book of 2016. 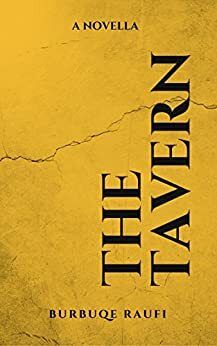 Her recent published book is The Tavern: a Novella, a psychological and philosophical drama. Burbuqe lives with her family in Macedonia and continues to write and engages herself into a different genre of literature. There is more to expect from her being an ambitious and dedicated writer.